Your kitchen could be a cultural mixing pot of delight and wonders if you’d let it. A veritable melting pot sitting on top of a concrete tile in Melbourne over a fire, filled to the brim with rich flavours, interesting and foreign cuisines, and new and delicious things. 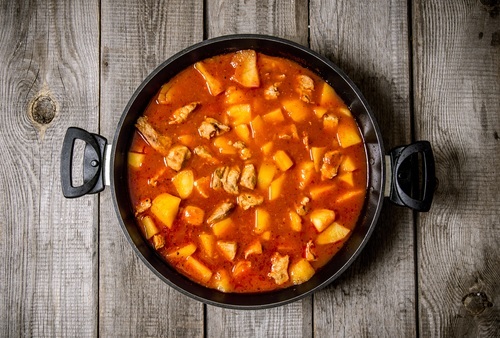 It might be hard to imagine, especially if you’re not the kind of person who usually adventures out with food, but trust us when we tell you that your frying pan can make miracles happen, and we’re going to show you exactly how it does that with our list of 6 tips for adding a dash of culture to your cookery. If you’re looking to try something different, and your regular old cooking just isn’t doing it for you anymore, it’s time to throw some spices into the mix. Many people shy away from using spices because they believe, incorrectly, that spices will make their dishes spicy or hot. This is not even close to the case, and it’s that distinction that we’re going to make use of here. Hot spices usually come from a chilli source, which is distinct from, say, star anise or cumin or paprika. Adding a smoky flavour, or a woody tang, or a licorice undertone to a dish doesn’t make it any spicier, but it can make anything (even plain old rice) a delicacy. Combining dishes you know and love is another way to ease yourself into the world of culturally significant dishes. Maybe you take that pizza you usually love and instead of pineapple and ham, you put taco meat and relevant sauces on top. This combines the two dishes into something new, and can help your tongue get used to these unfamiliar tastes in a slower manner. It’s easier that jumping in with both feet and trying the hottest, strangest cuisine you can find, and it’s much less likely to burn your mouth as well. And by “worldly”, we really mean to stretch your comfort zones to it’s limits. 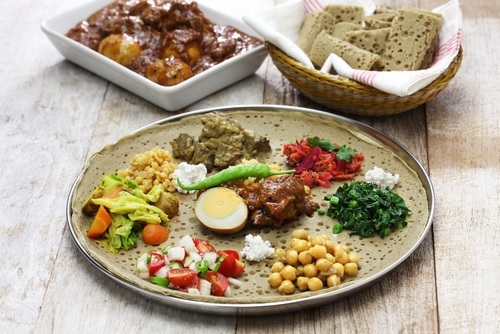 If you’re mainly used to western and some Asian foods, try some African cuisine, like Ethiopian. A whole array of meats, strange breads, vegetables and preparations you would have never thought of can result in delicious, out-of-this-world flavour in a dish you never even knew existed, all the while forcing you to learn more about the countries and cultures these dishes came from. Your favourite dishes can now have a splash of multiculturalism added to them with your newfound love of the different. Take a Curry Shepherd’s Pie and really make it shine with a slew of new spices and meats, slow cook it to let the flavours really sink in, and serve it up to some close friends to see what they think. Through this, you spread your love of the strange and delicious to others, and help them to see the benefits of branching out more. Once you’re comfortable with that, push yourself more, try even stranger things. Starting out with different but accessible foods is just that – starting out. It’s great strides in the right direction, but ultimately it just leads you to the next obstacle to overcome, so don’t get complacent where you are, order that dish you can’t pronounce the next time you’re out to dinner and test your tastebuds. Finally, if you’re used to cooking one way all the time, such as if you’re exclusively a savoury dinner cook, try turning your gaze to baking, or sweets. Trying your hand at a new medium through which flavours are created can help break up the monotony of the cooking itself, and inspire you to create more varied tastes. Cooking and trying new things is wonderful, and it helps increase your appreciation of this world we live in and the cultures that inhabit all corners of the Earth.